As we’re all aware, Valentine’s day is just over a week away. While I love the opportunity to show a little extra love to my special men, I’m not so into red and hearts. Instead, Ev and I partnered up to make a two toned heart pillow. 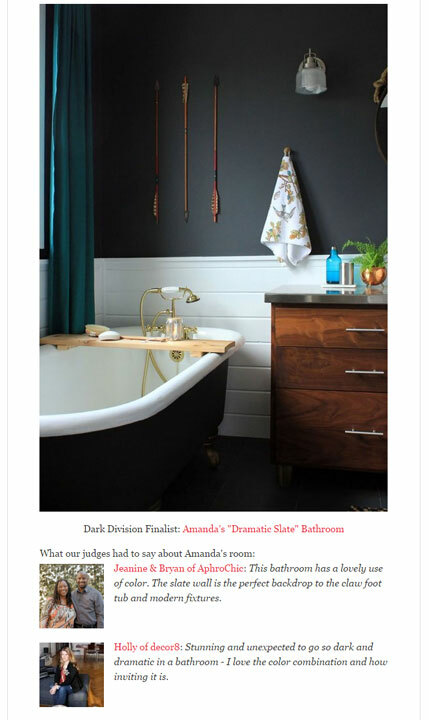 He chose the paint colors and I did the rest. Using scrap paper, I made a half heart template and lightly traced it on my fabric with a pencil. Using a yard stick, I made a line across to separate the triangular base from the top. Martha Stewart craft paints claim to be good on fabric, so that’s what I used to fill in. If I weren’t stuck inside due to crazy cold, snowy weather, I would have used fabric. I’d rather have a lovey design with year round colors, so Ev did a good job with his choices. Dude knows how to pick ’em. 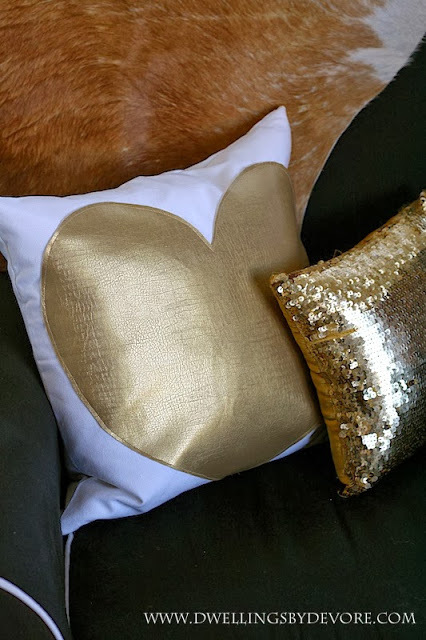 Gold pleather heart pillow: Yay for more modern versions of an old favorite. Where do you stand on Valentine’s day and the decor that usually goes with it? I’m the traditional red and pink lover! 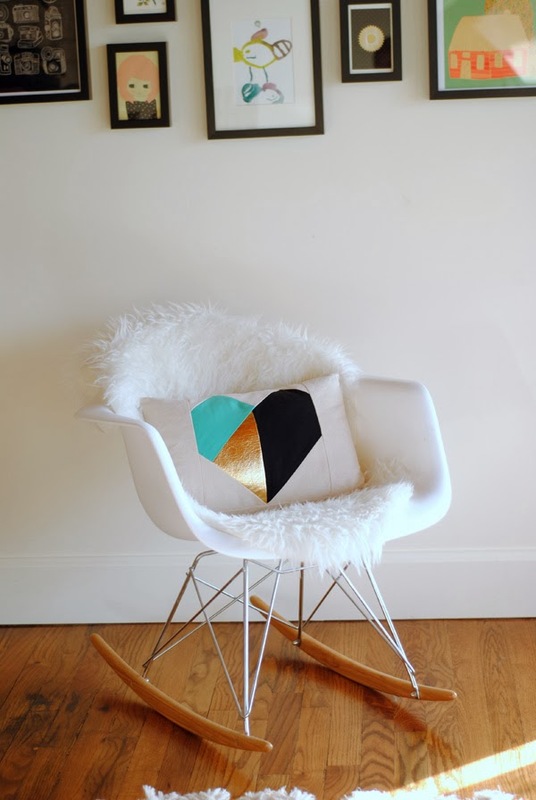 But your pillow looks good for a year round decor item.